Did you know that having great quality pictures is one of the most important steps that will bring success to your listing? The best part is, you don’t even need to hire a professional photographer. 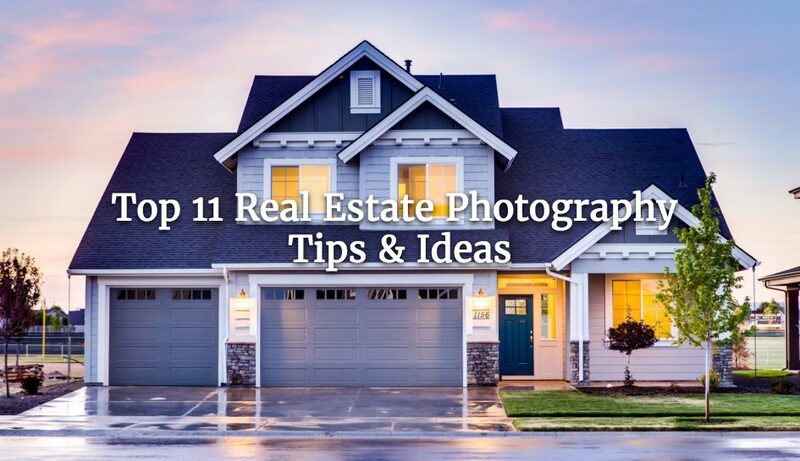 With these tips and ideas, you can take your own top-quality pictures and get impactful results for your real estate listings. Lighting plays a crucial part in the quality of your photographs. However, you will have to find the correct balance to make sure your pictures aren’t too bright. Light stands are important as well as using more than just one flash – if you can, bring both. Apart from light stands, natural light is the best alternative. See tip number 7 for the best time of the day to take your photos. The best camera you can use for real estate photography is a DSLR. For those on a budget, go with a digital camera where you can replace the lens with a suitable macro lens for closeups. Stick to the DSLR unless a macro closeup is absolutely required – see tip number 8. The wider the lens, the better. Absolutely no panoramas or fisheye effect! Having a tripod is an absolute must in the real estate photography business. We all have shaky hands and need something that’ll help us capture that perfect photo – a tripod is your best friend. You can get a lightweight tripod on Amazon for under $20. When taking pictures of a mirror, you absolutely have to make sure you aren’t visible in the shot. Turn off flash and find an angle that compliments the image with a mirror. A real estate photoshoot, like any other, can get complicated – in order to achieve the best result, don’t rush and allot yourself extra time. Taking the pictures of your own property will also allow you to reshoot if you’re not satisfied with the result. Sometimes an owner’s personal item might be in the way. We’re not talking about fully changing up the furniture, but do ask the owner if they’d be willing to change a few items for a better -looking shot. Seeing an out-of-place item such as children’s toys on the floor may turn off a potential client, whether it happens consciously or not. If it’s your own property, redecorate a few pieces in the room if they’re not complimenting each other. Play around until you find a perfect composition that’ll bring your property to life. The famous ‘golden hour’ is probably the worst time to take real estate photos as the lighting will mess up with your overall brightness and editing later on. The best time to take real estate photos is midday or at dusk. Sure, an old house might sometimes be completely unappealing. Using the right lens and the right brightness can help you bring out the best out of the rustic look and make it appealing. This is where macro photography comes in. Bring focus to the specific object and make it stand out from the rest – make sure the background is complimentary as other colors shouldn’t overpower the object in focus. After you return home, don’t forget to edit your pictures in a photo editing program, like Watermark. A simple tutorial can teach you how to completely transform your photos and you’ll be amazed by the end result. Play around with clarity and brightness and see what happens – just make sure your editing is not too over the top. Always stick to a realistic representation of the property. There are plenty of ways to shoot real estate photos and there are also plenty of real estate photographers. If you’re completely serious about this business, go snoop around and see what (or who) you can find and get inspired. We can guarantee you will find some new tricks and new ways of making your photos stand out. Did you just take a good photo and are worried it’ll get stolen if you post it online? We’ve covered what to do when someone steals your photo before, like on Instagram – but did you know you help prevent your photos from being stolen by using a watermark? We know, we know, some watermarks destroy the picture – that’s why Watermark allows you to have custom text, plenty of fonts, pixel-perfect positioning, option to import your own custom logo and much much more. It’s never been easier and safer!